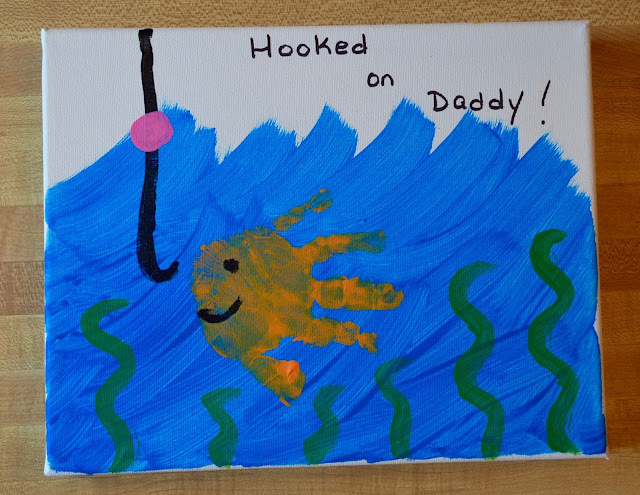 Because the children were toddlers I painted the water, seaweed and fish hook. Let dry for a few hours. 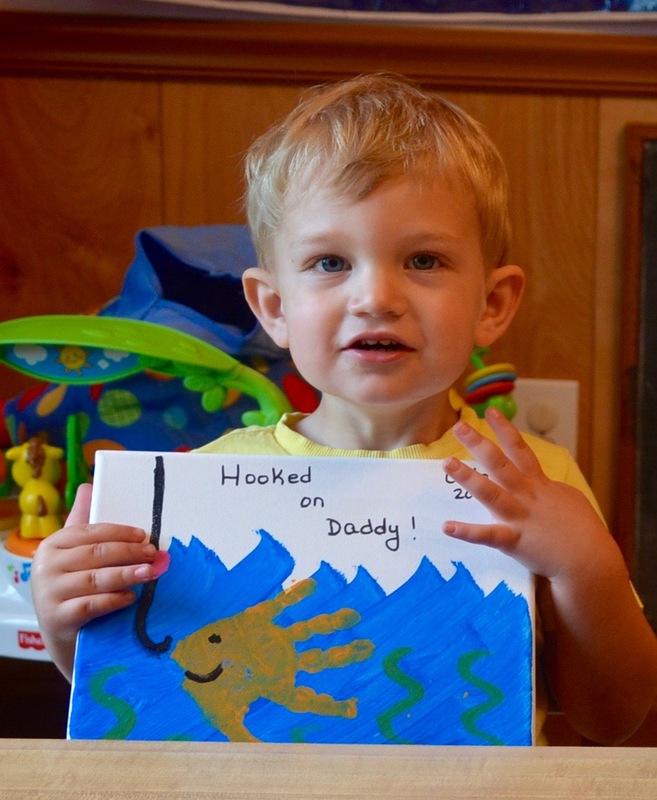 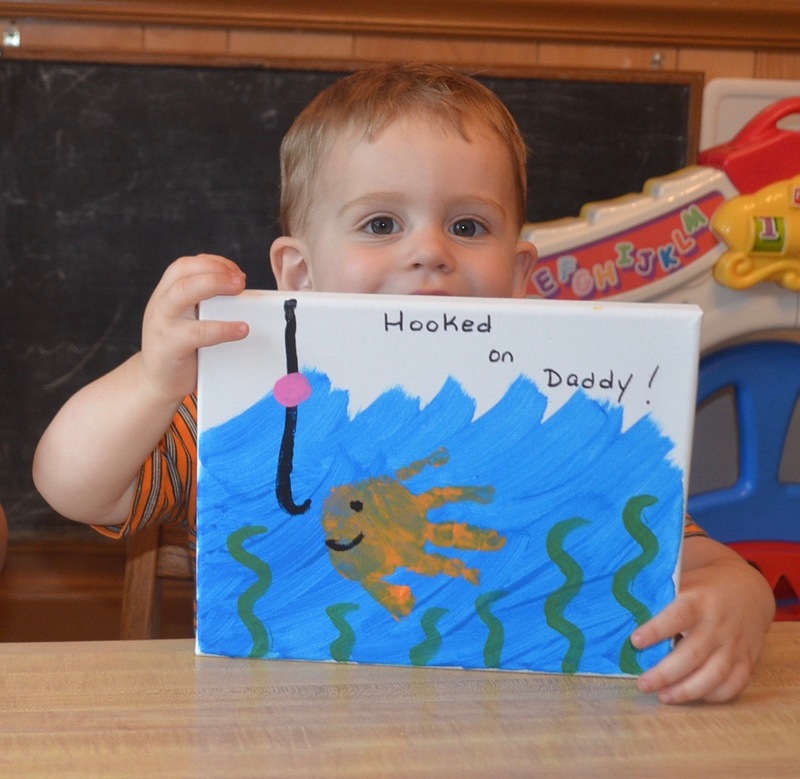 Place the child's hand in orang paint and place on the canvas to create a fish.